Well, of course, we can't be celebrating a birthday dinner with ribs and macaroni and cheese every night. Most suppers need to have some semblance of nutrition with healthful, fresh, colorful ingredients. Here's a super easy springtime supper, all made in my trusty Lodge cast iron skillet. You could also make it in a sheet pan, which seems to be the going thing, or a 9 x 12 oven-safe casserole dish. Preheat the oven to 350 degrees. 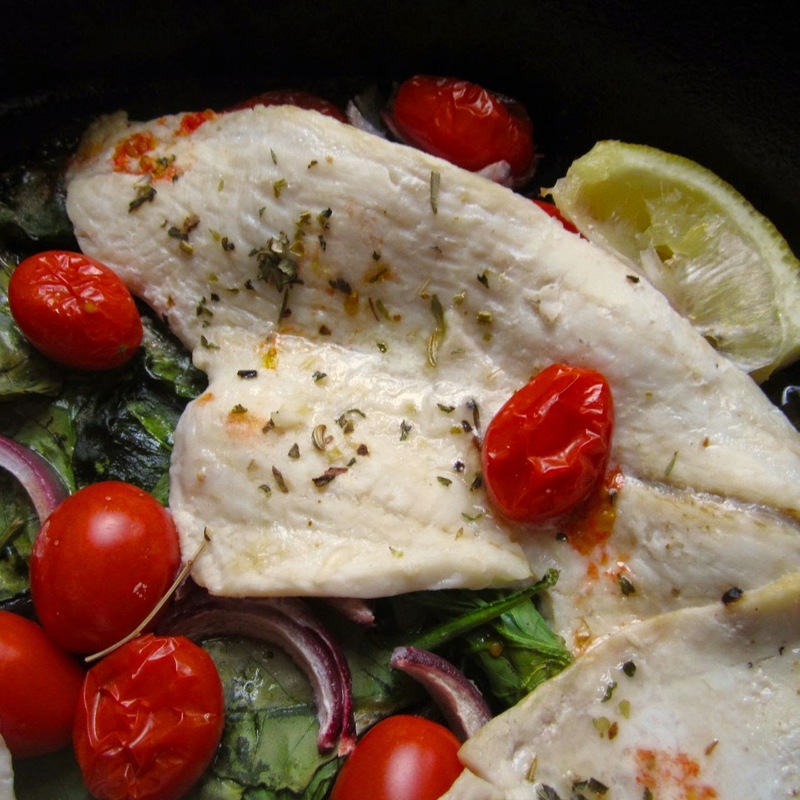 Then, add a tablespoon or so of olive oil to your skillet and tip the skillet to coat it well. 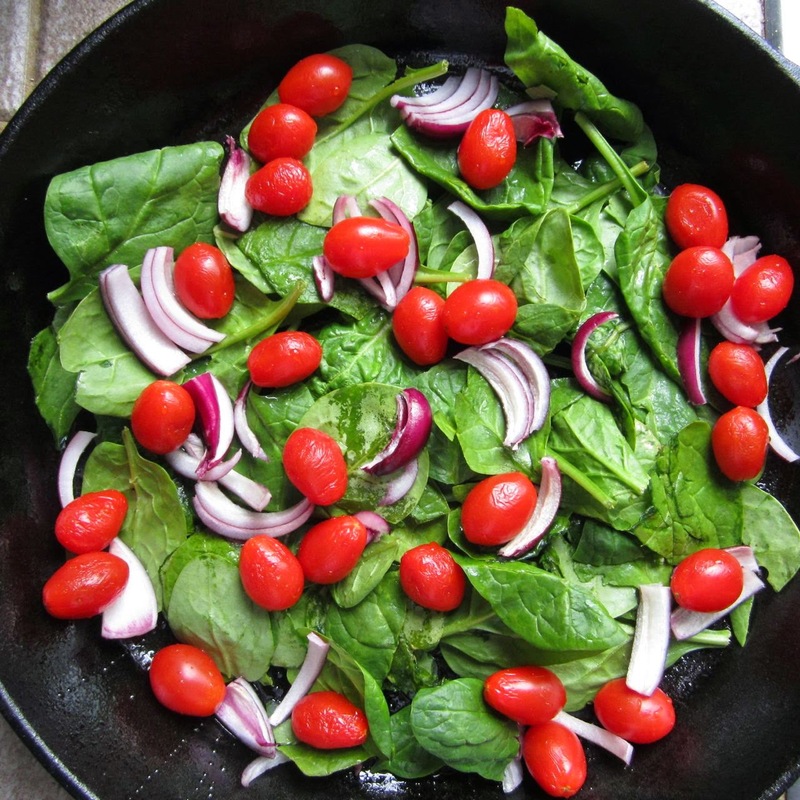 Next, layer about two cups of fresh spinach, a cup of grape tomatoes, and a half cup of chopped red onion. Top the vegetables with your favorite filet of mild fish. I used flounder because I happened to have some in the freezer. Snapper or even tilapia would work well, too. Salt and pepper the fish. Add a teaspoon of real butter to each filet and generously squeeze lemon juice over the whole pan. I also added a sprinkling of Herbs de Provence, mostly just for color. 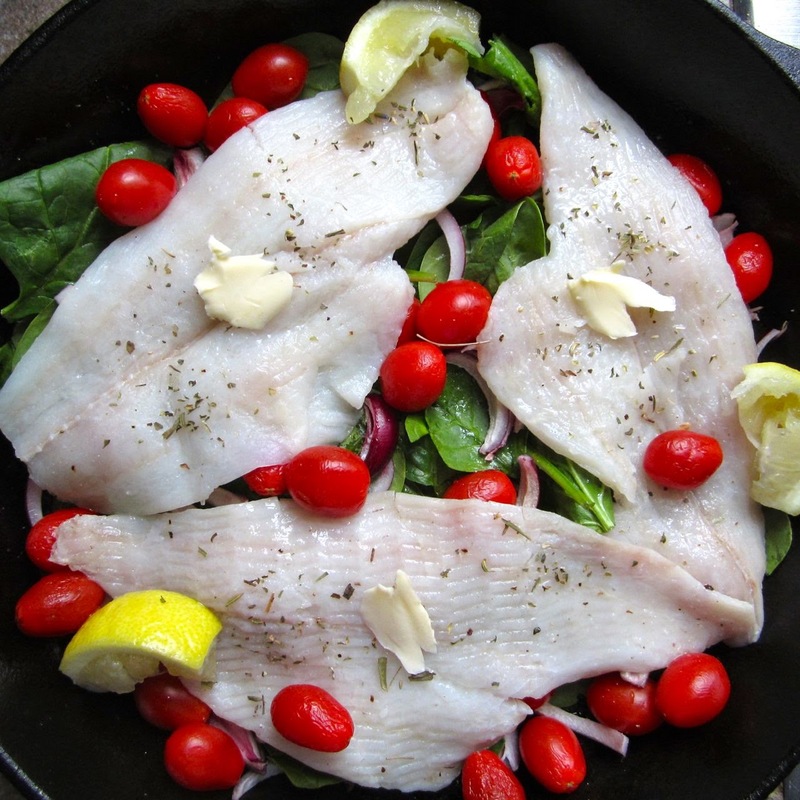 Bake for about 15 to 20 minutes or until fish flakes easily with a fork. The spinach will wilt, of course, and the tomatoes will shrivel, and the whole meal tastes fresh, light and good. You might want to add another sprinkling of salt to taste. 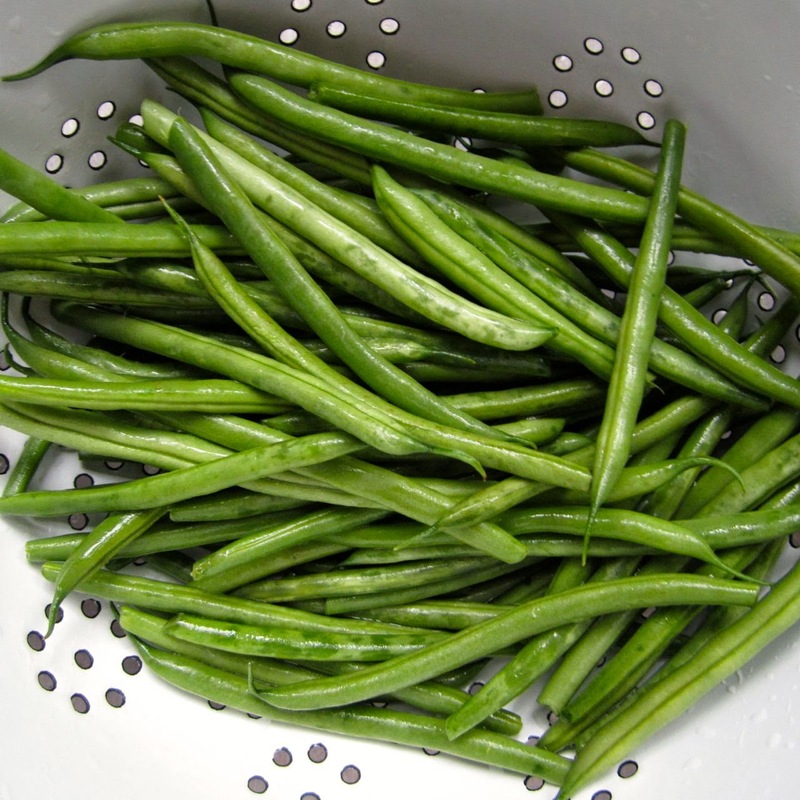 I served this with whole green beans sautéed in a tiny bit of butter. The Mister and Little gave this two thumbs up, and cleaning up was easy-peasy. I'm looking forward to trying similar recipes from Molly Gilbert's cookbook Sheet Pan Suppers. My copy is on its way. I'll probably still use my cast iron skillet when I can, though. It's like getting an upper body workout while making supper. Do you have a go-to weeknight supper? 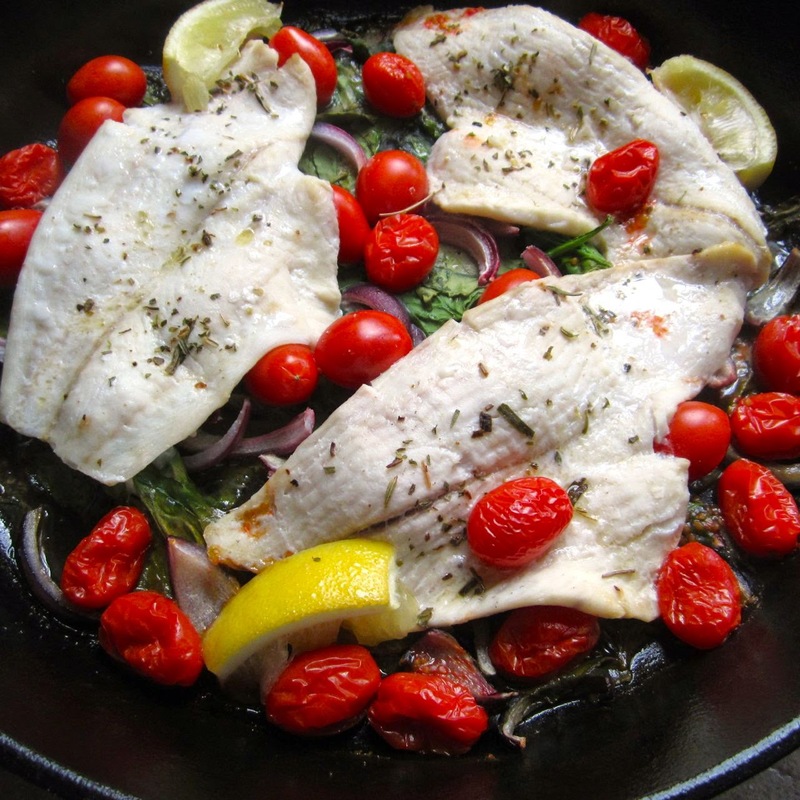 Do you ever cook in a cast iron skillet? I kept thinking, wow, the cleanup would be so easy! How wonderful if it also tasted really good. It was very good. I'm going to add a side of quinoa next time, just to make it slightly more filling.